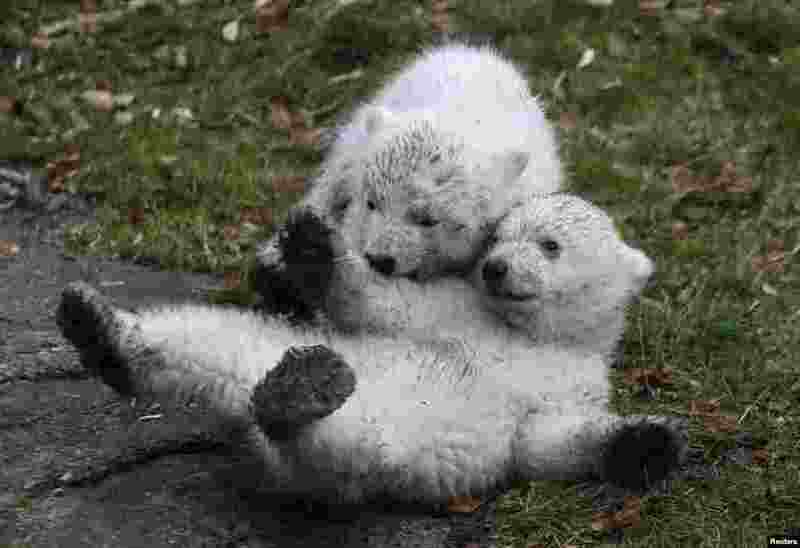 1 Twin polar bear cubs play outside in their enclosure at Tierpark Hellabrunn in Munich, Germany. 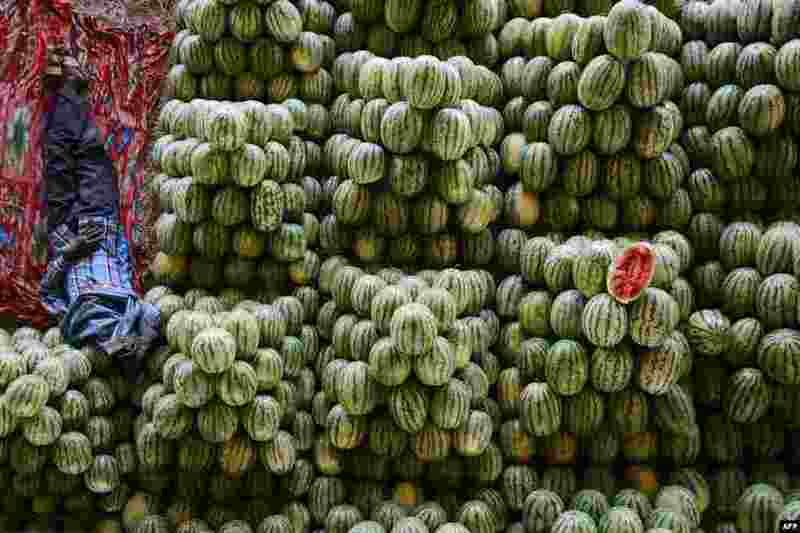 2 An Indian farmer rests among watermelons at his fruit stall prior to auctioning them at the Gaddiannaram wholesale fruit market on the outskirts of Hyderabad. 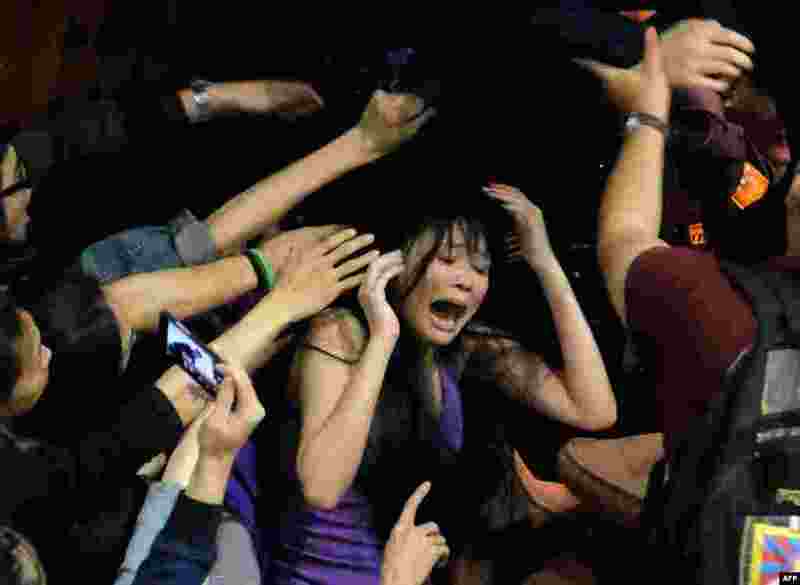 3 A protester shouts as police try to remove the chairs from the entrance of the Taiwanese Parliament in Taipei occupied by activists to protest against moves by the ruling Kuomintang party to ratify a contentious trade agreement with China. 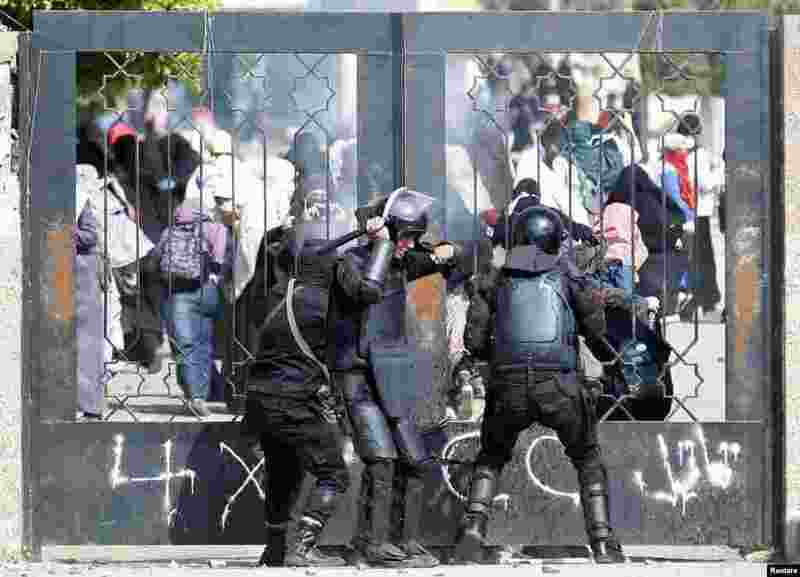 4 Riot police attempt to break open the entrance of the al-Azhar University Campus during clashes with female university students, who are supporters of the Muslim Brotherhood and ousted Egyptian President Mohamed Morsi, in Cairo's Nasr City district.